Burning fossil fuels (coal, natural gas and oil) is putting 32 billion metric tons of carbon dioxide annually into the atmosphere. Since CO2 is a greenhouse gas that traps heat from the sun on earth and prevents it radiating back out to space, this unprecedented human output is causing climate disruption, a process that will accelerate over the next few decades and will prove extremely costly to human society (if the latter can even survive). The only energy source that has a hope of fixing this problem and of resolving the coming energy crisis is solar. The cost of solar panels is falling rapidly, raising the hope that we can put in enough panels quickly enough to avoid the very worst scenario of carbon-induced climate disruption. (I put in 16 Enphase microinverter panels at my place this winter and they generated 120 kilowatt hours in the past week; my house and electric car averaged 150 kilowatt hours usage per week last month; and that is in Michigan at the tail end of winter). 2. The price of electricity generated by solar panels in India has fallen so much that solar is now competitive with coal. India wants to add 22 gigawatts of solar by 2022, but is already looking like it will do at least 3 times that because of falling costs. In twenty years, India will be the country generating the most new demand for electricity in the world, surpassing China. 3. Ghana has started work on a $400 million, 155 megawatt solar utility plant, the largest so far in Africa and the 6th largest in the world. It will be completed in 2015. 4. Japanese prime minister Shinzo Abe introduced a feed-in tariff 18 months ago, with dramatic results. Installed solar capacity in the past year and a half has gone from about 2 and a half gigawatts to a whopping 7.5 GW. In an encouraging sign for the Japanese economy, nearly half the photovoltaic panels shipped were manufactured in Japan. Since the tsunami disaster at the Daichi Fukushima nuclear complex, Japan has scrambled to replace the electricity generating capacity of its nuclear reactors. A majority of days in the year are sunny in Japan, but the solar panels generate at least some electricity even when it is overcast. The number of sunny days each year in Japan is comparable to that in Germany, where solar now accounts for 5% of German electricity production, a proportion expected to increase rapidly over the next decade. 5. 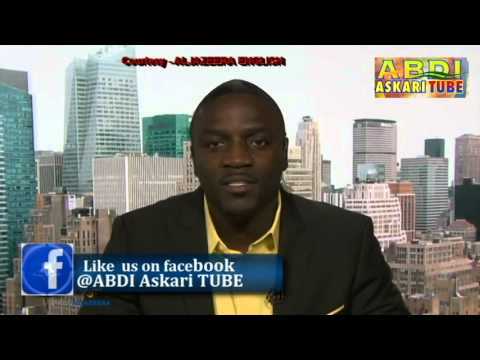 American hip-hop artist Akon (who grew up in Senegal) is promoting affordable solar energy kits for African villagers that are cheaper than kerosene. He aims to bring power to a million Africans this year.